We're such fans of today's feature album design! 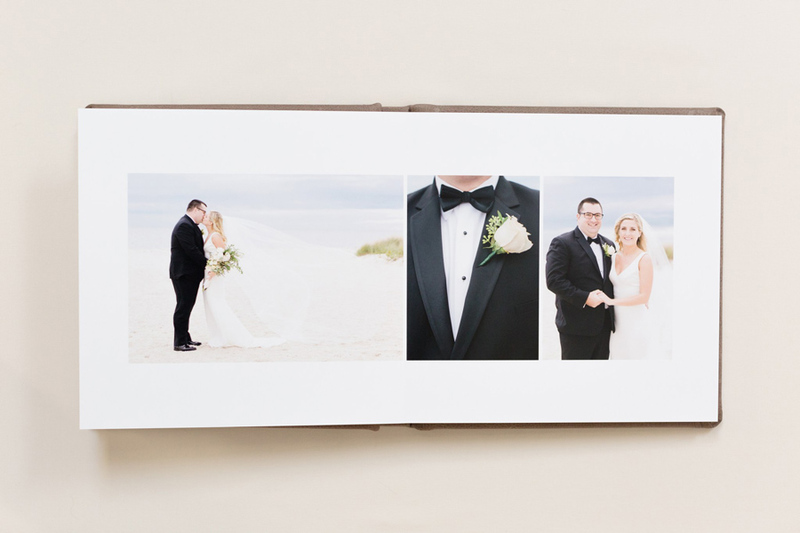 This wedding was photographed at Nauticus Marina in Cap Cod by the amazing Deborah Zoe Photography, and it's full of romantic touches and New England seaside charm! 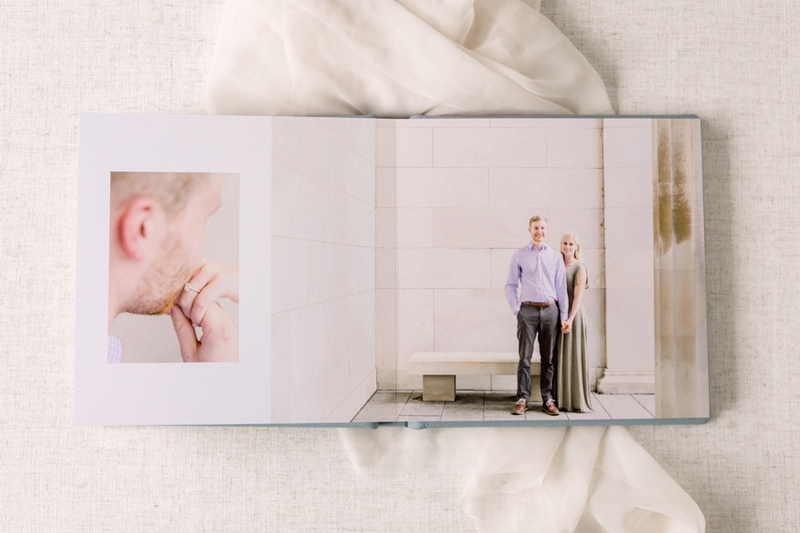 Deb uses this album as a studio sample to show off her clean and elegant design style, which allows her beautiful images to speak for themselves! 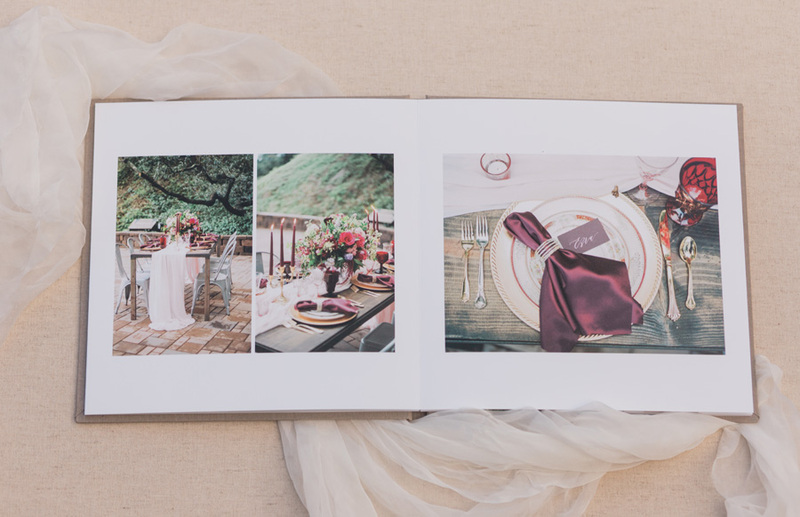 Deb is a fine art wedding & portrait photographer who prides herself on telling stories with her images. For some words of wisdom from a photographer who sells albums well, read her guest post entitled Deborah Zoe on Educating Clients on the Importance of Albums. To see some other designs we've made for Deborah, click here! 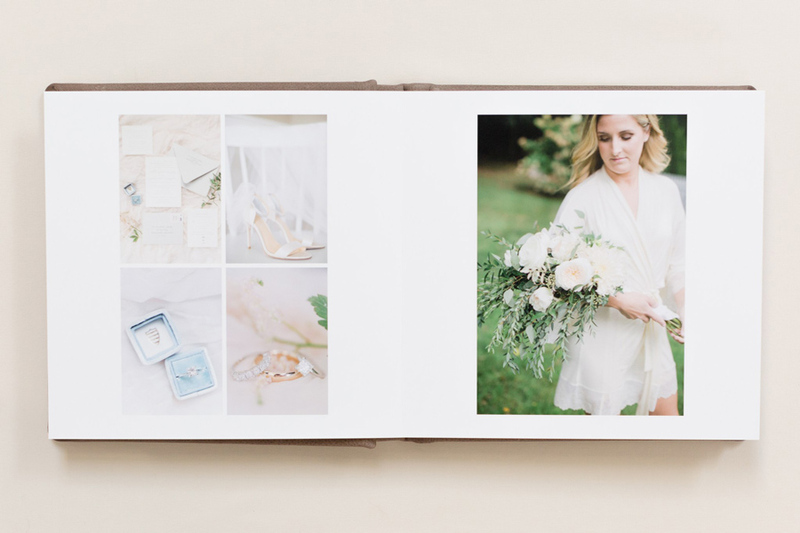 We're never going to get tired of designing wedding albums, but we have to admit that we get a little bit excited when we get to branch out and design other kinds of albums! It's SO much fun to work with images from engagement sessions, senior portraits, pet portraits, styled shoots, newborn photos, boudoir sessions, family portraits, bar/bat mitzvahs, guest books, and more! Our Simple Design Style (which has an average of 2-3 images/spread) is a great fit for portrait albums. 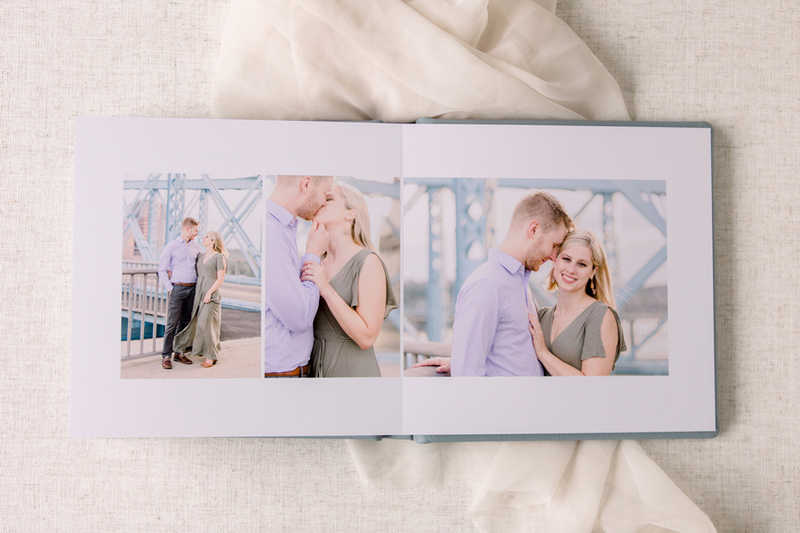 So you can imagine how thrilled we were when Kate Mannella asked us to design a Simple Style album for this adorable Cincinnati engagement session! 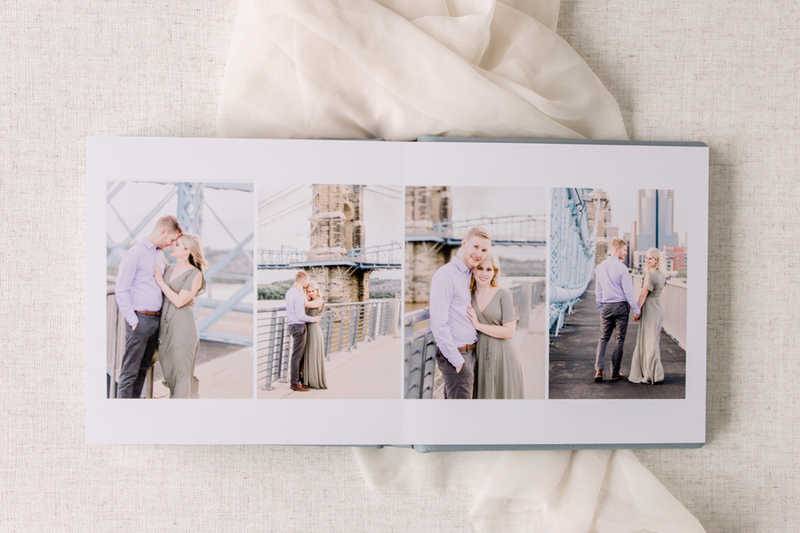 Kate is a talented Ohio-based wedding photographer who is a dream to work with, and she made the process even sweeter by sharing photos of the finished KISS Books album with us! 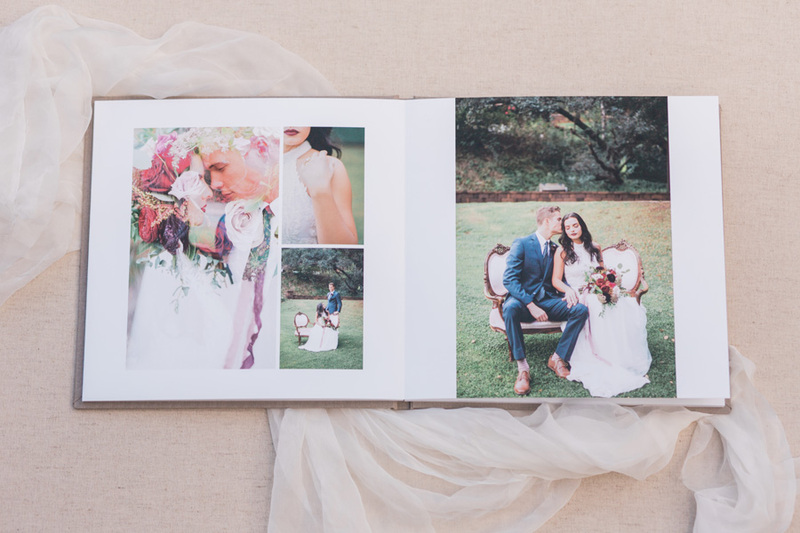 The beautiful album design we're sharing today is full of charm, beauty, and so much love. 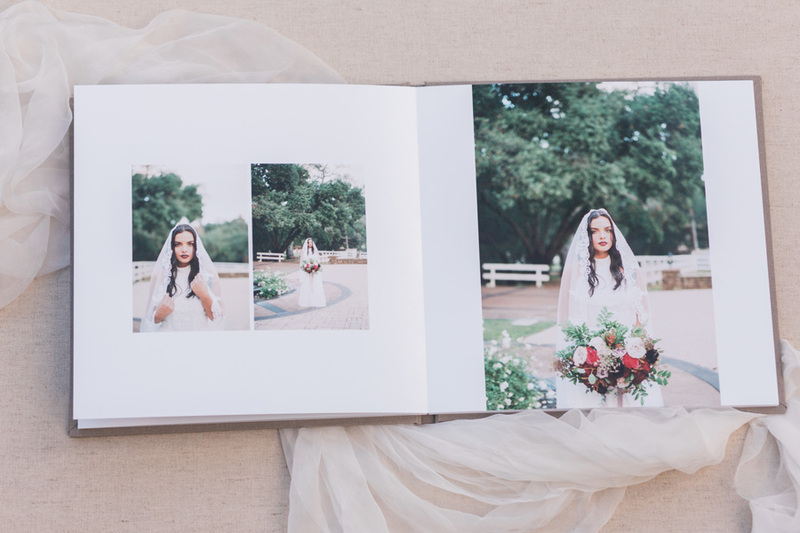 It features top-notch photography by Tasha Brady, a film photographer based in Scottsdale, Arizona. 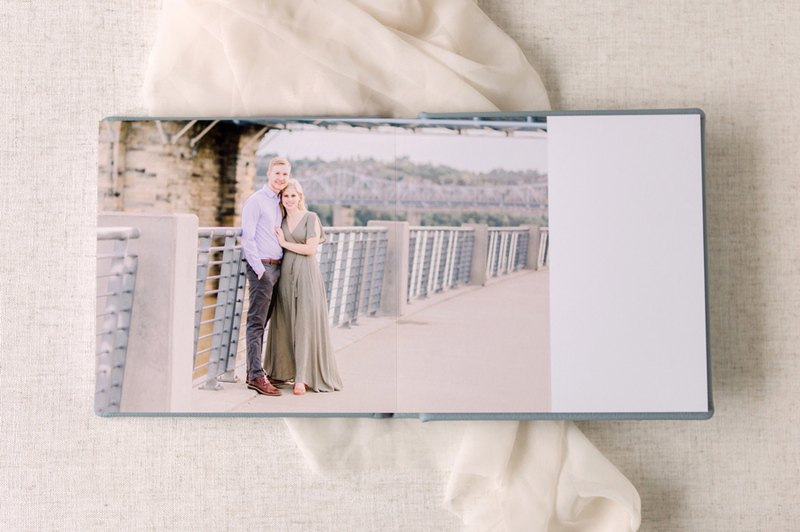 Whenever we work with Tasha, she requests our Simple Design Style which typically has a maximum of 4 images per spread (it's perfect for portrait albums!). However she communicates to us that the 4 image limit isn't mandatory. 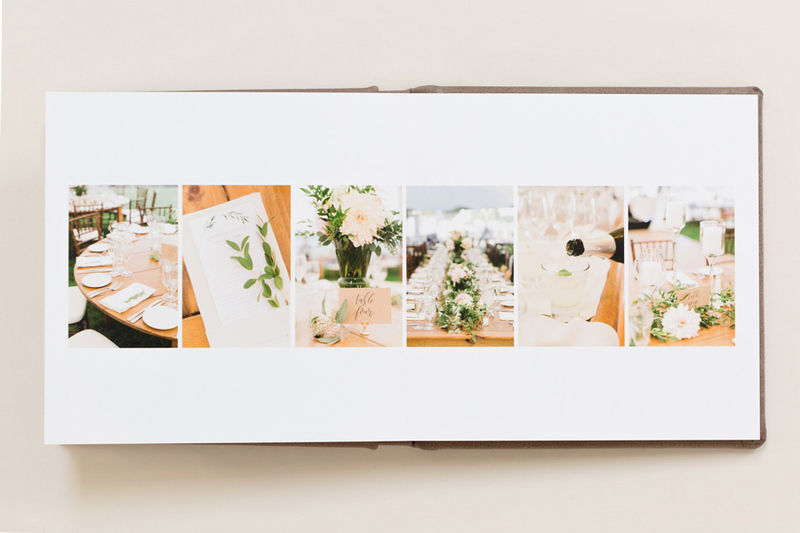 So as you flip through this design, you'll see some beautiful spreads with 5 images on them and then the fun reception spreads are a definite departure from our Simple Style. And we love customizing this design style for Tasha! So if you're struggling to decide which album design style you should choose on your Align order form, just remember that you're welcome to communicate any special requests to your designer. We're a small team -- you're not locked into a corporate-generated checkbox! We talk all the time about how outsourcing your album designs allows you to serve your clients even when YOU are unavailable (on vacation, in the middle of your busy season, etc.). But what about when the designer you outsource to is unavailable as well? 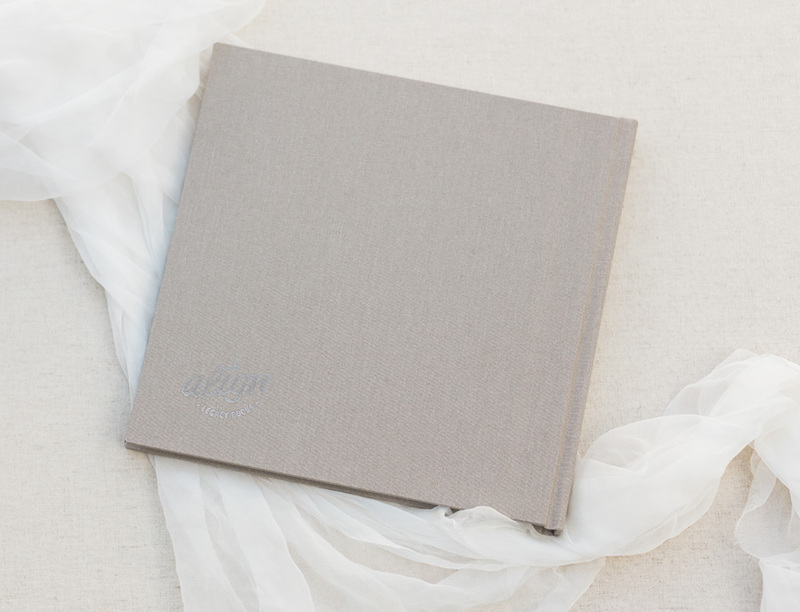 Align Album Design has you covered! Our small team currently has 5 designers. That's intimate enough to provide personalized service to every client and communicate amongst each other about each client's design preferences. But it's large enough that there's always a designer available whenever a new order is placed or revisions come in! Our guaranteed 4 business day turnaround time isn't affected by an individual designer's personal time off. For example, I (Denise) took an unplugged vacation last week. There were still 4 other designers available to take on new designs that came in while I was gone. As for my in-progress orders, my fellow designer Andrea took care of all the revisions or final file deliveries that came in for me (Thanks Andrea)! Another example is that Virgina-based photographer and educator Katelyn James typically works with Kari as her album designer. However Kari took maternity leave earlier this summer as she welcomed her new baby boy into the world (Congrats Kari!). When Katelyn placed a new order for the below album design during that time, we immediately asked if she preferred to wait for Kari or if she'd rather work with someone immediately available. Katelyn was completely understanding and okay with having a different designer for that particular order. 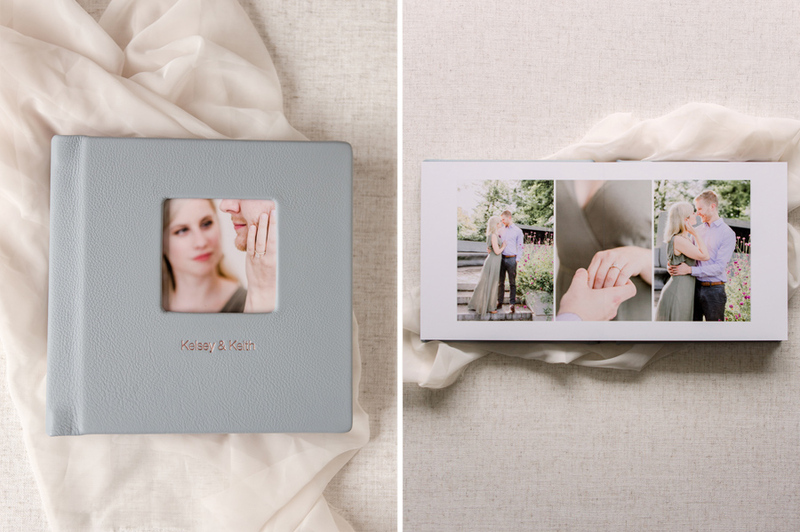 Due to Kari's amazing note taking, I was able to design the following album for Katelyn using all of the same design style preferences that Kari always follows for Katelyn's orders. The design was designed, revised, AND approved within a few weeks! Behold the power of teamwork! To see some of the past designs we've created for Katelyn, check out her Client Advocate profile. We've been so torn! We have these photos of a beautiful Valentine themed Align Legacy Book to share -- do we share it now or do we wait until next February's Valentine's Day? Ultimately we decided that this beauty was way too good to kept dormant on our hard drive for 10 months. So we're sharing the love with you today! Let's bring the romance of Valentine's Day to April! The styled shoot featured in this album's pages includes shades of red, blush and gold to tell the story of two star-crossed lovers coming together in a deeply heartfelt elopement. 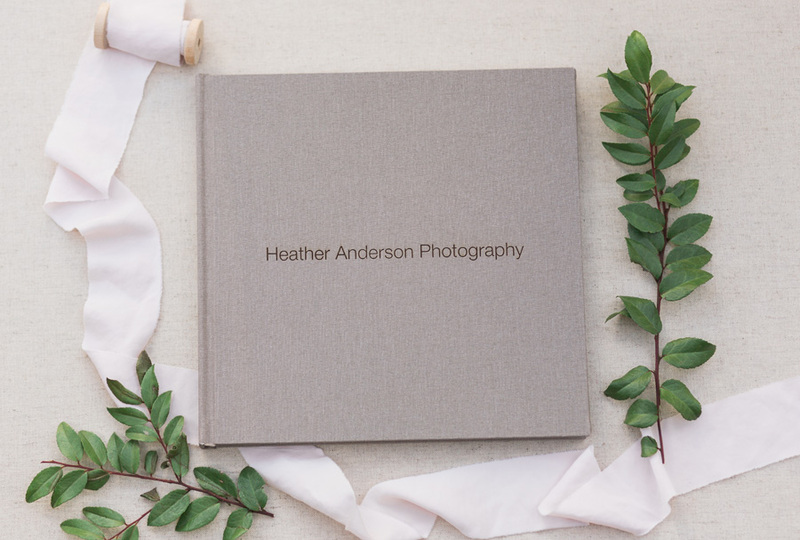 The photography is by Heather Anderson, a fine art film wedding and engagement photographer based in Southern California. This Align Legacy Book will be her new studio sample! What's an Align Legacy Book? Glad you asked! Here at Align, we have been providing album design services to hundreds of photographers for more than 5 years. 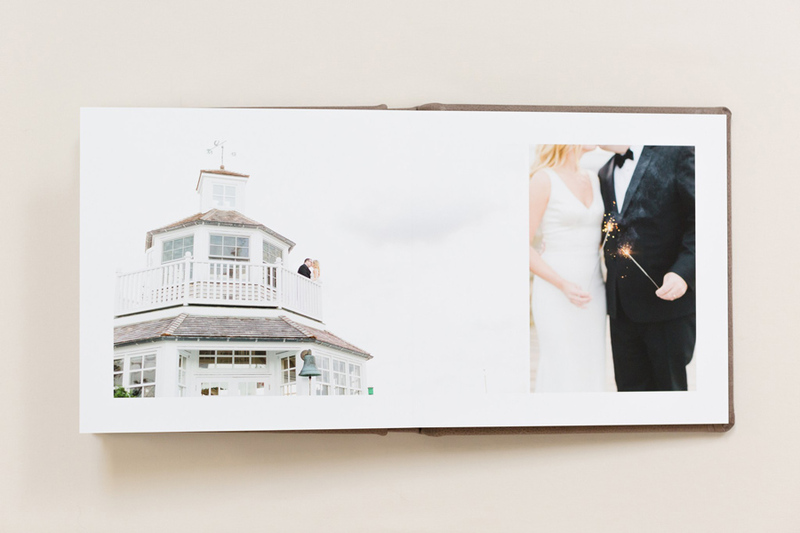 But for the past year, we've been offering our own in-house line of high-quality printed albums too! See this page for all the details. 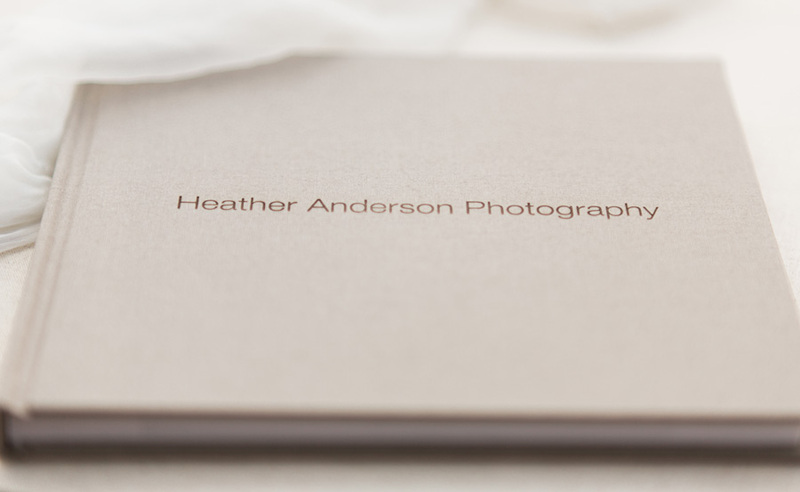 Thank you SO MUCH to Heather for sending us the following photographs of her finished 10x10 Align Legacy Book! 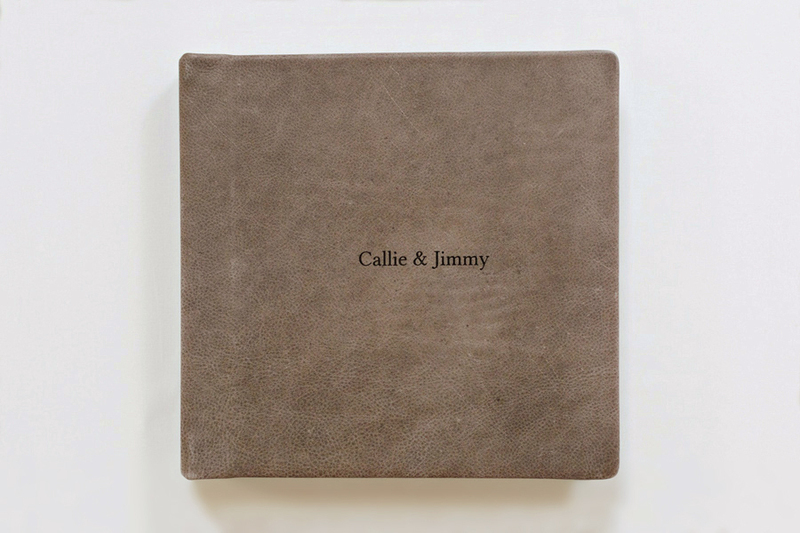 This album has a Cobblestone colored linen cover with engraving on the front and the Align sample stamp on the back. The interior contains 16 spreads of our thin-page paper. Hope you enjoy this love-filled album as much as we do!